I’ll be honest. I have a dysfunctional relationship with my eyebrows. Which, as you may guess, has led to a complicated rapport with almost every brow product I’ve ever tried. Despite the fact that I’m undeniably obsessed with beauty products (my bathroom looks like Sephora and CVS were involved in a volcanic eruption), I’m completely uninspired when it comes to anything brow-related. In fact, it wasn’t until our beauty director, Deven Hopp, introduced me to this editor-favorite that my feelings began to change. Smitten, my pencil and I have spent a wonderful couple of years together, and, quite truthfully, I haven’t considered any other product since. Until Wunderbrow, that is. Call me jaded, but by now, bold claims and strategically placed buzzwords turn me off faster than a man sporting pointy-toed loafers. The reasoning? More times than not, a “must-have” miracle product has left me melty, muddy, or just plain mystified. (Same for the loafers.) Thus, you can imagine my apprehension as I read Wunderbrow’s seemingly too-good-to-be-true product description. Was there really a “one-step” brow product that could “define, fill, and thicken” while also managing a “water-, smudge, and completely transfer-proof” formula? But as I did more research, read countless reviews, and found out it’s one of Amazon’s best-selling beauty products, well, I started to let my guard down. Intrigued, I skimmed the color selection. I have blonde hair, but my brows are naturally darker, and I’ve grown pleasantly accustomed to the perfect taupe-y shade of my go-to pencil. As I debated between “blonde” and “brunette,” I ultimately decided to go with the latter. After all, I wasn’t here to play. Plus, my admiration of Marilyn Monroe runs deep, and I love the look of a darker brow paired with light, contrasting hair. As I unscrewed the cap and took out the applicator, I immediately panicked. As mentioned, I prefer a natural effect when it comes to my brows—“feathered,” if you will. And, to be honest, anything that looks like it might yield Kardashian-esque results sends me running for the hills. The gel, “infused with hair-like fibers to fill and sculpt,” looked thick, intense, and a tad irrevocable—it is supposed to last three days, after all. However, I was pleasantly impressed with the malleability of the formula as I combed it outward and upward with a spoolie brush. Thrilled with the coverage (and how unexpectedly natural the overall effect was), I decided another go round was in order. And thanks to my new obsession with oil-based cleansing, removal was painless—literally and figuratively. The following morning, mid-application and angled brush in hand, I started to smile. (To add some perspective here, it was 6:30 a.m. and, more important, pre-coffee.) The coverage is super buildable with this product, so once I knew to use a lighter hand, the application felt virtually foolproof. 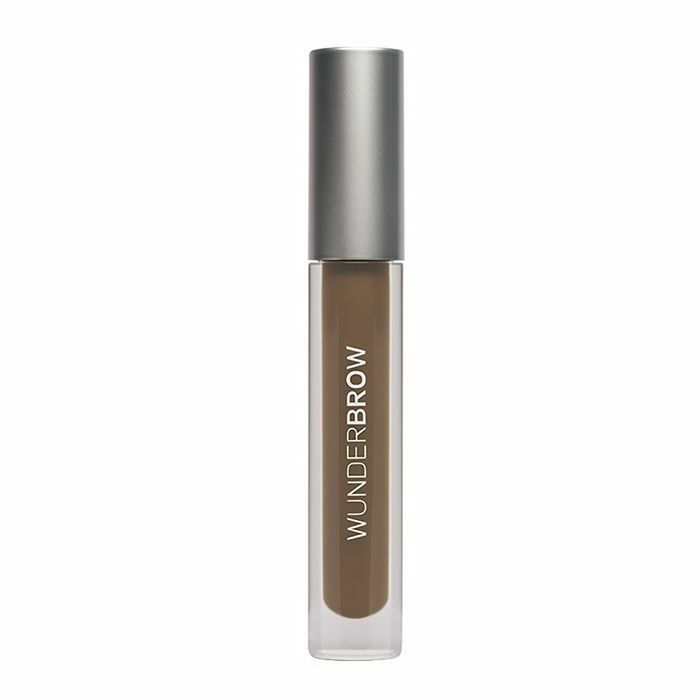 Even though it’s not my personal preference, if you love an ultra-bold brow look, you can definitely get it with Wunderbrow. That being said, the overall finish is so delightfully customizable that I truly think just about anyone would love the formula. Not only does it stay in place all day, it never left my eyebrows feeling overly stiff or cemented—which I despise. I’m still devoted to my beloved BrowGal pencil (hey, just being honest), but I’ll definitely reach for Wunderbrow whenever I need an extra boost pre–night out. Wunderbrow, I think this is the beginning of a beautiful friendship. 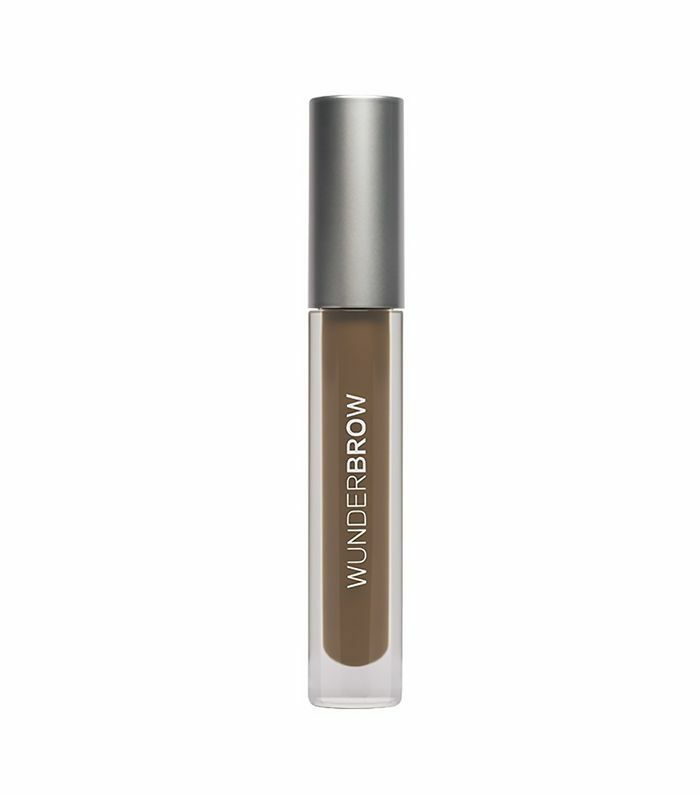 Have you tried the Wunderbrow Brow Gel? If so, what did you think? Next up: this is the best wallet-friendly oil cleanser we’ve tried.